In 2013 a diagnostics project concerning management of production in the company was conducted with the help of EAS; this provided a clear direction for further development. The diagnostics project was followed by three projects aimed at improving the management of production: increasing the added value created with production by decreasing costs, implementing information technologies in the dairy plant, enhancing the website and creating a product catalogue. 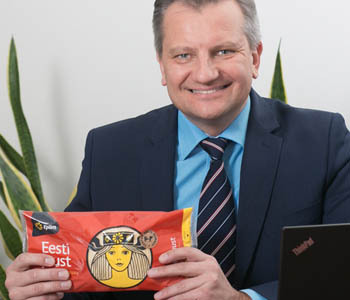 According to Jaanus Murakas, the Chairman of the Management Board of AS E-Piim Tootmine, these projects have strengthened the competitiveness of the company on external markets as more advanced planning and implementation of information technologies speed up decision processes and ensure more operational feedback from business partners. According to Murakas, enhancing their website helps grow the popularity of the company; the product catalogue has information on their whole range of products both in Estonian and English. AS E-Piim Tootmine is owned by the Dairy Co-operative E-Piim, which in turn is owned by Estonian dairy producers. The product range of E-Piim includes butter, cheese and milk powders. The projects were financed by the European Social Fund.